Larsen & Toubro's Chairman AM Naik. 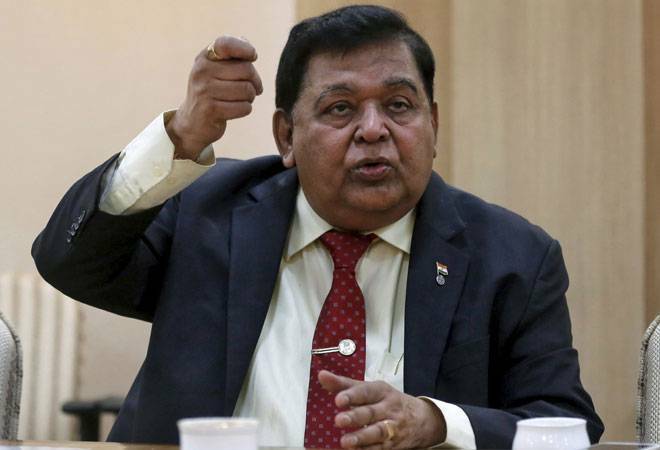 Larsen & Toubro's Rs 10,733-crore takeover bid for mid-sized IT services firm Mindtree - the country's first such attempt in the IT sector - cannot be termed "hostile", according to its Chairman AM Naik. "This is no hostile bid. The shareholder approached L&T first-how can that be hostile by us? We are open to further negotiations with Mindtree-our doors are always open," he told The Economic Times. He also had rejoinders ready for remarks by Mindtree's cofounders. On March 19, Mindtree's management had held a press conference at its headquarters in Bengaluru to express their opposition to the deal during which they had posed several questions to L&T, including "You are 18 times our size. Why can't you build a great technology business with all your resources and capability without decimating another organisation?" Referring to the above question, Naik posed a counter question: "Who is Bagchi to ask why L&T cannot build a Mindtree?" He went on to state that L&T had already built "huge businesses and in the same space, too" and would do whatever possible to grow them further. "L&T has done much more for its employees than Mindtree for theirs. We formed the L&T employees' trust, which owns a sizeable stake in the company. Our culture has been called the best by several studies. So it is ridiculous to state otherwise," he added. Mindtree, on its part, has made no bones about its intention to unconditionally oppose L&T's takeover bid. Following L&T's announcement that it has signed a Share Purchase Agreement (SPA) to acquire Cafe Coffee Day owner VG Siddhartha's 20.32% stake in Mindtree (held by him and his affiliate firms), the infrastructure giant in a statement announced an open offer to buy 31% stake in the company as per SEBI Takeover Regulations (as required under Regulation 3(1) and 4). In addition, L&T has placed an order with brokers to pick up another 15% of the company shares from the open market. All the three acquisitions - adding up to a 66.32% stake - are being done at Rs 980 per share. The stock is currently trading at Rs 942 apiece on the BSE. "We don't see any strategic advantage in the transaction and strongly believe that the transaction will be value destructive for all shareholders," Mindtree's promoters said in a statement last Monday. The promoters, including the four founders of the company Krishnakumar Natarajan (executive chairman), N.S. Parthasarathy (executive vice chairman and COO), Rostow Ravanan (CEO), and Subroto Bagchi - who quit his government post to return to company to help fend off the takeover attempt - collectively hold a 13.32% stake in the firm. "In addition, there has been a large outpouring of sentiment from Mindtree Minds [as the company calls its employees] online at #MindtreeMatters expressing their strong desire to retain our culture and our independence," the statement added. The outburst has taken L&T by surprise. Acknowledging the concerns, the engineering major's managing director and chief executive SN Subrahmanyan last week invoked parallels with Bollywood dramas, saying with 'dil and pyaar' (heart and love) it will be able to win over everybody. Significantly, he stated that the management of Mindtree had first approached L&T for a deal a few years ago, but the focus on succession planning and ongoing capex had prevented it from going further. Then, three months ago, it was Siddhartha who approached L&T. He added that if not L&T, a substantial stake in Mindtree would have anyway been traded off to some other suitor as Siddhartha had decided on a selloff due to his business requirements. While refusing to specifically answer questions on whether the deal was strategic or financial, Subrahmanyan had clarified that Mindtree would maintain its separate identity for "some time to come" and there are no plans on integration at the moment. Naik's attempts to further allay concerns could "go a long way to calm the fears of Mindtree's founders", an L&T board member told the daily.